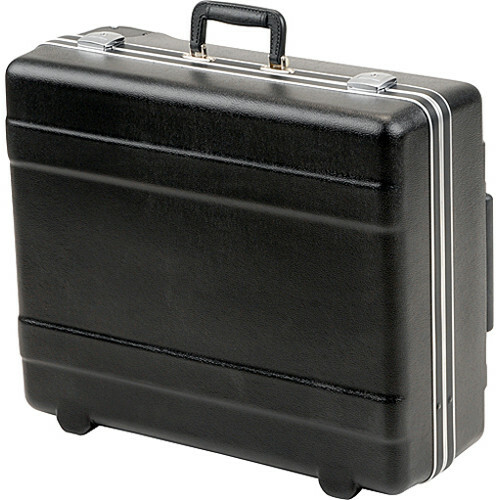 The SKB 3SKB-2114MR MR Series (Military Retractable) Handle Case is a rugged, maximum transport container made to work with audio, digital, photo or video equipment. It has a telescoping, retractable pull handle, comfortable spring loaded side handles and built-in "roller-blade" style wheels. It is made from molded impact resistant high density polyethylene and has molded in bumpers to protect the hardware. Molded in protective bumpers protect the hardware. Box Dimensions (LxWxH) 23.25 x 16.125 x 10.25"